The first Pokémon game to be released on Nintendo Wii. Pokémon Battle Revolution can be linked to Nintendo DS fourth generation Pokémon games like Pokémon Diamond and Pokémon Pearl, allowing the player to transfer their Pokémon in between the games and unlocking fun features, such as online Pokémon battles against friends or strangers, and turning the Nintendo DS into a controller, that can be used to navigate through the game. Pokémon Battle Revolution can be seen as a sequel for the Pokémon Colosseum and Pokémon XD: Gale of Darkness series, as its gameplay highly resembles theirs. 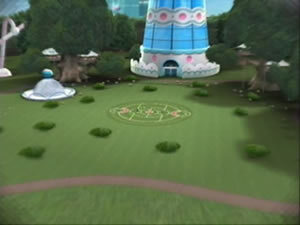 In fact, the game takes place in the Pokémon CIty Pokétopia, where the player can participate in different Colosseums and Stadiums, each with its rules and features. 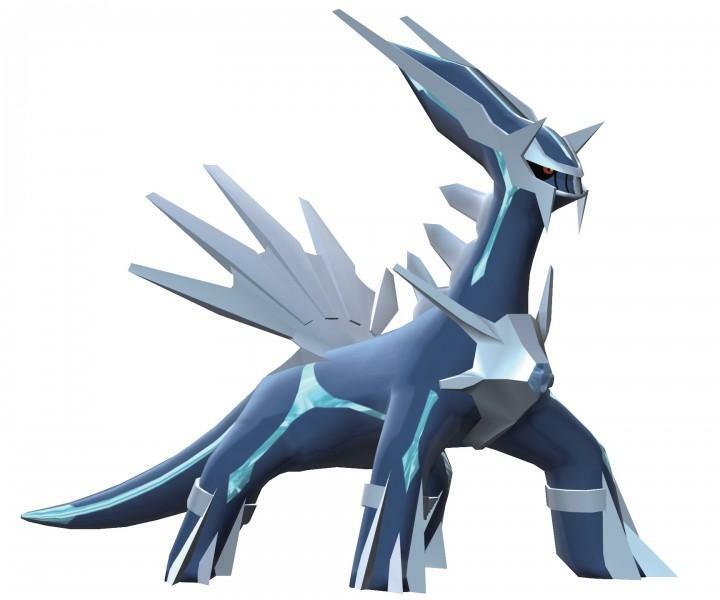 The Pokémon in it, are also portrayed the same way as the mentioned Pokémon series, as they come in marvelous 3D models and with a wide variety of animations. What's different about Pokémon Battle Revolution, is that it doesn't have any specific story nor does it offer the Mini Games feature its predecessors had. The Pokémon's animations are also way better, since the animation for each skill or move can vary from a Pokémon to another. 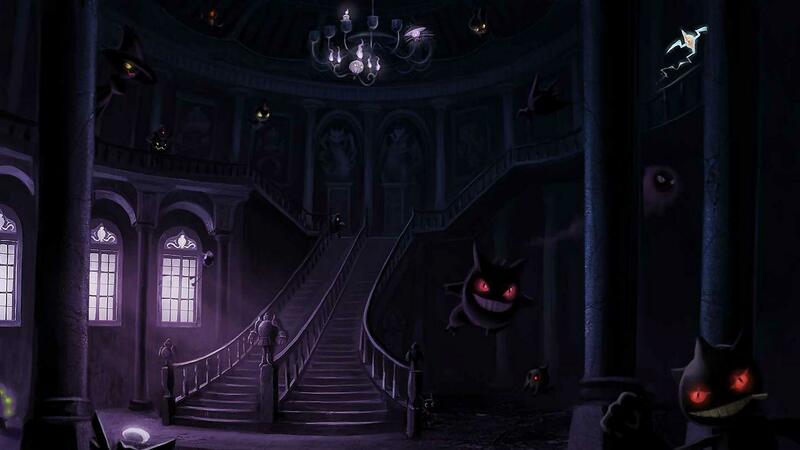 Additionally, both the attacking and defending Pokémon can be seen simultaneously within some attack animations, instead of cut scenes of the attacker's animation alone, followed by the attacked Pokémon animation. The game also excels on the sound level, featuring a wide range of music and the famous announcer from the previous games, but now with a wider variety of more interesting comments. Furthermore, Pokémon Battle Revolution allows the player to customize their character, enabling them to choose the character gender at the start of the game, than customizing their looks later on, by buying different characters items from the game's shop. All the Pokémon, up to the fourth generation, are featured within the game (493 in total) and can be transferred to both Pokémon Diamond and Pokémon Pearl. The players starts out with average Pokémon, and as they progresses through the game, stronger Pokémon get unlocked. 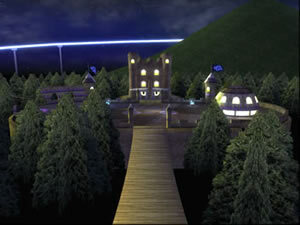 + Gateway Colosseum: It's the bright Colosseum at Pokétopia's entrance, shining with bright lights and led my the Pokémon Master Joe. Its battles are mainly done at night and its theme is "Rental Battle". The player has to use one of the rental passes to participate, either the Blue Rental Pass or the Red Rental Pass. More Rental Passes will be unlocked as the game progresses. Any Rental Pass used to win Gateway Colosseum will be automatically unlocked in the other Colosseums. 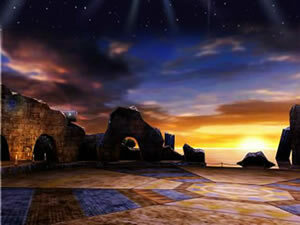 Upon finishing the game and beating the Stargazer Colosseum, "Trade Battl" becomes Gateway Colosseum's new theme. The player would still have to use a Rental Pass, but they can now trade Pokémon with the trainers they've beaten. Only the Pokémon that were used in the battles could be traded. Beating the Gateway Colosseum's level 30 unlocks the bronze badge, and beating its level 50 unlocks 37 new shop items. + Main Street Colosseum: A Colosseum that's located in the middle of Pokétopia's main street and led by the Colosseum Leader Taylor (Wearing a Pachirisu costume, that can be obtained upon beating her). The battles are mainly done in day time and follow the theme "Knockout Battles". The theme doesn't actually force any restriction or rules on the player as it's the standard battle theme, where the player has to simply defeat the opponent's Pokémon. Beating Main Street Colosseum's level 30 unlocks the Pikachu Badge and beating its level 50 unlocks 24 new shop items. 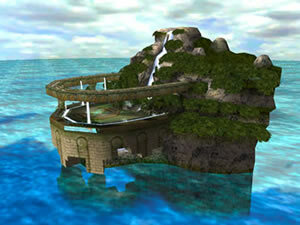 + Waterfall Colosseum: A Colosseum surrounded by the sea and mountains and led by Marina (Wearing a Kyogre costume that can be obtained after beating her). Its theme is "Team Battle" where the player has to choose 5 Pokémon to use for battle. The player will face the opponent in 1 versus 1 Pokémon battles, where Pokémon can only battle once, against each trainer, and they can't be switched. If the player's Pokémon wins the battle it gets a star. The first to get 3 stars wins the match. Beating Waterfall Colosseum's level 30 unlocks the Neon Colosseum and the Crystal Colosseum, along with 10 new shop items and 2 Gateway Colosseum's Rental Passes. Beating its level 50 unlocks 23 new shop items. Gateway Colosseum (left), Main Street Colosseum (centre) and Waterfall Colosseum (right). 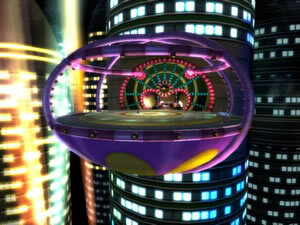 + Neon Colosseum: A Colosseum built on a balcony in a skyscraper, decorated with many neon lights and led by the Colosseum Leader Rosie (Wearing a Roserade costume that will get unlocked upon her defeat). 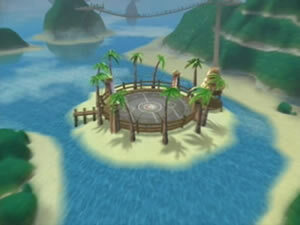 The Colosseum follows a unique set of rules within its theme "Fortune Battles". 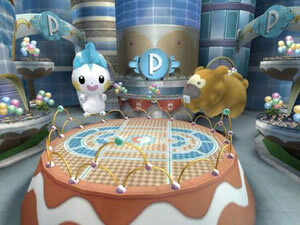 Both the player's and the opponent's Pokéballs are put into a special roulette called the Pokémon Wheel. They are then given 4 empty Pokéballs. Shortly after that, the roulette is spun, and each one of them has to consequently through a Pokéball into the roulette, until the 4 Pokéballs are thrown. Whatever Pokémon is hit by the Pokéball must be used by the thrower, thus, allowing the player to use his opponents Pokémon and vice versa. It is not advised to use custom strong Pokémon imported from Pokémon Diamond or Pokémon Pearl, as they can end up in the opponent's team. Beating the Neon Colosseum's level 30 unlocks a pair of Pikachu Gloves and 46 new shop items. Beating its level 50 unlocks 24 new shop items. + Crystal Colosseum: An undeground Colosseum lit by shiny crystal and led by the Colosseum Leader Voldon (Wearing an Elektivire outfit that can be obtained after successfully beating him). This Colosseum's battle theme is "Tournament Battle", putting 16 trainers against each others in an elimination tournament, where the winner gets to face the Colosseum Leader. 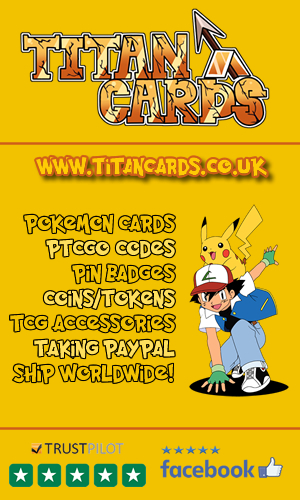 Beating the Crystal Colosseum's level 30 will unlock a Pikachu Bag and 9 new shop items. Beating its level 50 will unlock 23 shop items. + Sunny Park Colosseum: A Colosseum located on a grassy field near a Ferris Wheel and led by the Colosseum Master Sashay. 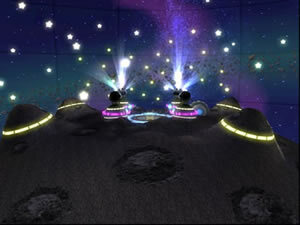 The Crystal Colosseum theme is "Knockout Battles", where the player has to conduct 7 matches with the standard rules. After completing the game, its theme gets changed to "Little Battles", where only Pokémon below level 5 can be used. 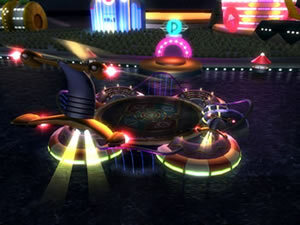 Neon Colosseum (left), Crystal Colosseum (centre) and Sunny Park Colosseum (right). 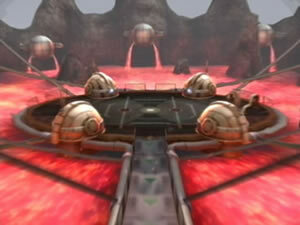 + Magma Colosseum: A Colosseum built inside a volcano, and led by the Colosseum Leader Terrell. The Magma Colosseum follows the "League Battles" theme where the player with most points gets to face the Colosseum Leader. Point are earned depending on the number of Pokémon remaining conscious, in the player's team after each match. 5 Matches are conducted and then the winner is picked, to face Terrel. + Sunset Colosseum: A Colosseum surrounded by sea and rocky structures, and is led by Colosseum Leader Dusty (Wearing a Lucario outfit that will be earned after his defeat). The Colosseum's theme is "Select Battles", where both players can't use their own Pokémon, but instead will pick a team from a list of 12 suggested Pokémon. Both players can have similar Pokémon, and even identical teams. + Courtyard Colosseum: A Colosseum located within a haunted castle and led by the Colosseum Master Kruger. It follows the "Knockout Battles" theme and the winner of the battles gets to face Kruger. 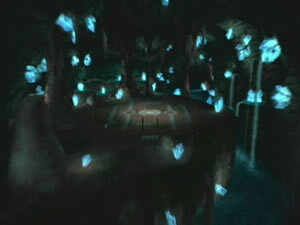 Upon completing the game, the Courtyard Colosseum's theme becomes "Survival Battles", where the player can do up to 100 battle in a ladder like mode. Winning a battle will advance the player to the next, while losing one will make them start all over. Magma Colosseum (left), Sunset Colosseum (centre) and Courtyard Colosseum (right). + Stargazer Colosseum: The final Colosseum in the game and probably the hardest one to beat. It is built on a Meteor like structure surrounded by televisions projecting outer space images and stars. Its theme is "Pokétopia Championship" where battles are conducted against the Colosseum Leaders. Beating them will allow the player to face Pokémon Master Mysterial. Defeating Mysterial will unlock the "Masters Battle" where the player has to face the Colosseum Masters then the Colosseum Master Mysterial. Defeating them will re-unlock them in a harder difficulty of sets. + Lagoon Colosseum: A unique Colosseum located in a Lagoon, on a small island. It that can only be accessed in multiplayer modes, either through the Nintendo Wii's Wi-Fi battles or the DS link battles. Stargazer Colosseum (left) and Lagoon Colosseum (right). 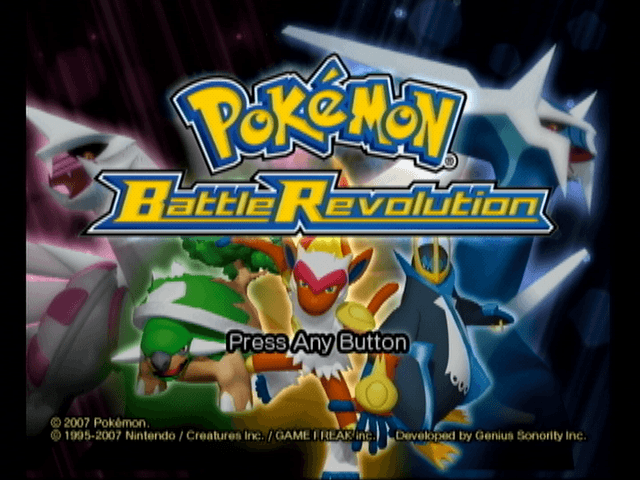 As mentioned earlier, Pokémon Battle Revolution is the first home console game with online access. When a player logs in, they can choose either to battle random people or friends online. When the battle starts, the player's Pokémon's custom names get reset to the default names and all quotes they added also will be reset to default. Once the match is over the player can exchange trainer ids with their opponent. If both accept they'll add each others to their friend lists. When battling a friend online, custom rules can be picked, making the matches whether more complicated or way simpler. Sadly, the online functionality is no longer available as the Nintendo Wi-Fi connection was shut down in 2014. Character Customization Gear: They are mainly stuff that changes the character appearance as Shirts, Pants, Shoes, Hats, Glasses, Gloves, Bags, Badges, Face Paints, Hair Colors and Eye Colors. Check out these Pokemon Battle Revolution videos including the games intro, official trailers, tv commercials and more. Pokémon Battle Revolution is the first game to make use of the Nintendo Wi-Fi connection, on Wii. All the starter Pokémon in the Starter teams are evolved except for Rhyhorn. Pidgeot is the only Starter Pokémon in the Starter teams to be a third evolution. Arceus' name is mispronounced by the announcer as "Ar-See-Us" instead of "Ar-Key-Us". The game was pretty successful when it came to sales, as it managed to sell an overall of 1.59 million copies. Bozon from IGN was impressed by the graphics and the new animations but thought that the online mode lacked a lot of depth. 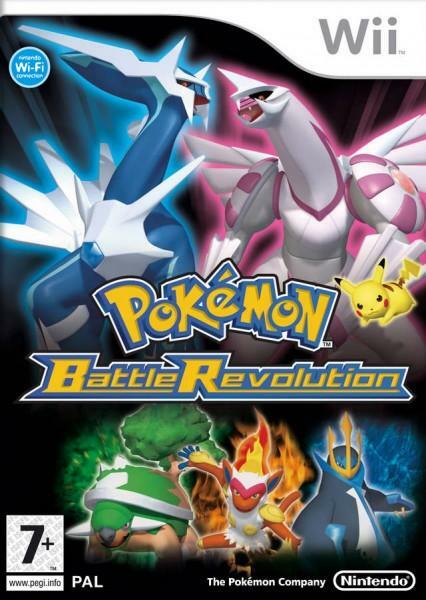 He rated the game 5/10, which equates to "Mediocre"
Ryan Davis from GameSpot enjoyed the graphics Pokémon Battle Revolution offered and how versatile were the animations, but was bored by the repetitive battle gameplay stating " The thing about Pokemon Battle Revolution is that, without any greater context of a grand adventure, Pokemon fights are kind of boring.". He scored the game 5.5/10, the equivalent of "Mediocre" on their scale. On GameRankings too, Pokémon Battle Revolution scored an average score of 53.19%.